in the jostling throng on the streets. how can anyone even stand to live there!" a demand for my soul. Lalrinkima Ralte, as may be quickly deduced, is an Economics University student with a passion for literature. He lives in Aizawl Venglai and enjoys writing in English though he's the first to admit his grammar needs brushing up. His religious views are that of a "free seeker," while his politics are "left wing, revolutionary." Church bells intrude into my musings. I am not the type to muse. by the way they sing. Dr. Cherrie Lalnunziri Chhangte is on the teaching faculty of the English dept at Mizoram University. She writes poetry in English and also does translations from Mizo to English. I have been born a Mizo and I have always felt like a Mizo (whatever that is). Nowadays, every one is talking about ‘going back to one’s roots’ and ‘loving one’s own culture’ and so on. This led me to thinking - how Mizo do you have to be to be a Mizo? Are there levels? What is being a Mizo any way? All my life I thought I was just as Mizo as the person next to me, my neighbour, my best friend and my dog. With a pair of jeans and a hair colour that changes every six months, I felt like a Mizo just as any other Mizo person out there. I didn’t know wearing a traditional dress was the only way to become a real Mizo! I understand that the older generation wants to preach to the new ones about the importance of wearing one’s own traditional dress. They are only trying to make us more Mizo! I am a little confused as to what constitutes a Mizo in the first place. Blood-tribe-location-facial prominence-dress? Which is it? Personally, I associate being a Mizo with Tlawmngaihna first and foremost. I think that is the only thing that really sets us apart from other cultures. That selfless act of pure sacrifice for others - nothing can beat that. I don’t really care about how you look as long as you have a good heart! Right? Apparently not. It seems we need to play ‘dress up’ in order to show that we belong to a certain tribe. ‘Image is everything’ says the Kardashian clan. If you don’t know who they are, then you do not really care about "image." If image is what we aim for, we Mizos are pretty good at creating the Mizo Brand. Sunday-Christian Mizo image, puan-wearing-virginal-looking Mizo women, formal shirt-wearing-church-going men, you get the drift. I do not have a problem with the way we want to dress. I think it's classy and smart. It becomes my problem when the way we dress is not backed up by substance. It’s all style and no substance. I care more about the inner workings of a person’s heart rather than the way a person appears to be. Yes, I enjoy watching ‘Keeping up with the Kardashians’ but I also know it’s not ‘real’. So which image do we want others to see in us? The fake or the real? Young Mizo kids today are enamoured by Korean styles and everything Korean. There is a strong reason for it. Korea is cool. Korea is hip. Korea sells and it sells big time. Now I don’t ever recall Korea forcing its culture down our throats, we gladly welcomed it with open arms. There’s something we can actually learn from them before we brand them as bad influence to our society. You see, we need to re-package Mizo culture! In order to do this we first need to re-define what Mizo is. With all due respect and no offence to our forefathers, maybe its time to change our perceptions with the changing times. Let us be accommodating. A Mizo can be a traditional-dress-wearing man, a Mizo can be a young kid with green spiked hair. The sooner we accept this, the more comfortable we will be. Instead of focusing on the way we dress, why don’t we teach the true values to our younger generation? True values like honesty, hard work, self-sufficiency, and of course being true to one self more than anything else. We do not have to force any one to buy the Mizo culture. They will when they see something they like. Our job here is to re-package it. For instance, you can’t force anyone to wear a traditional dress on their wedding day. Instead show them how good it feels to be a Mizo. Re-wrap the Mizo dress and sell it to them (metaphorically). If we see what we like, we buy it. Simple as that. People may flinch and say, "You can’t sell culture, its absurd!" Well, let me burst your bubble, culture has been commoditized since paper became money. We have been buying the western culture for years, haven’t we? What about Mizo culture? Do we have anything worth selling? Can we sell? The answer is Yes. We can sell our family values, our never ending allegiance to God, our humility, our smiles.. the list can go on forever. The important thing here is to re-package our cultural products. How do we do that? I do not have all the answers but I will give one example. Repackage Tlawmngaihna. I think this is by far the most prominent value that Mizo people have. If we can sell this to us, we can sell it to the world. You may have heard of the word ubuntu which has its origin in an African saying which goes, ‘I am because we are.’ In short, it talks about being a good human being to each other. Now this word/value has been repeatedly discussed by world famous people like Nelson Mandela and Oprah. They are repackaging Ubuntu and selling it to the world. I know we have also taken pride in our Tlawmngaihna but in recent times, it has taken a back seat. Maybe we need to put it in a nice bottle and gift wrap it with a sweet note. Be creative and sell me my Mizo and I shall buy it willingly. You don’t need to force it down my throat. Sometimes all you need is to serve it with a spoonful of sugar. P.S. I am a Mizo as much as you! Lal aka Lalremruati Khiangte is an Assistant Professor in the department of Mass Communication at Mizoram University. She wrote this feisty assertion of the young, educated, urban, contemporary Mizo in April 2013 for her blog https://gkhiangte.wordpress.com. I am grateful to her for allowing me to repost it here. Loan words can be defined as words that are ‘borrowed’ from another language. The word ‘borrowing’ has been defined as the incorporation of foreign elements into the speaker’s native language by Thomas and Kaufman (1988). Mizo is one of the dialects of the Tibeto-Burman language. 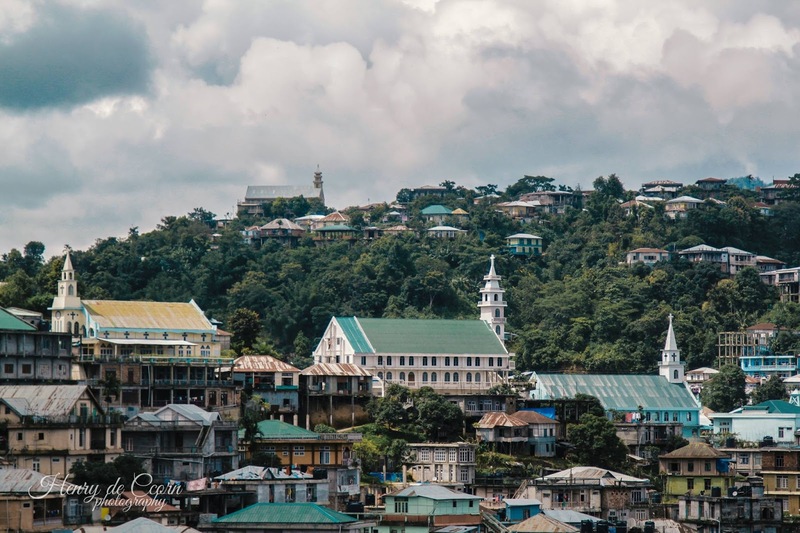 There were many dialects spoken in different regions of Mizoram such as Lai, Mara, Hmar, Ralte etc. and linguistic diversity has always been embedded in space/time and group but it has been reduced over the last hundred years with the arrival of the British. ‘Mizo-Duhlian’ gradually developed as a means of communication for Mizos between people of different clans/lineages/sub-groups and it is now the dominant language of the Mizos, an important marker of identity for all ‘Mizo tribes’ irrespective of their kin group/clan/lineage/sub-group. Before the advent of the British in 1870, the Mizos did not have any written record since they had no script, and verbal language was their only means of communication. There is a myth that the Mizos had a written document on the skin of an animal but a dog ate it up and so they lost their only piece of written material. The first written document about the Mizos and their language was written by Tom Herbert Lewin who worked in the Chittagong Hill Tract for 9 years. The Mizos called him ‘Thangliana’ and in his book ‘Progressive Colloquial Exercise in the Lushai Dialect’ (1874), he transliterated the Mizo words using the English alphabet. His book served as a chief guide for the missionaries who later came to Mizoram in learning the language of the natives. The first written book in Mizo was ‘Mizo Zir Tir bu’ (Learning Mizo), published on 22nd October 1896. The continuous contact with the British, especially the missionaries, had a strong influence on the Mizo language especially in word construction and coinage of new words. Many words were borrowed from English and eventually accepted as a part of the Mizo language. The borrowed words are mainly names of things (nouns), where some words are used without a change while some others are used in the ‘nativized’ pronunciation. The main reason for the borrowing of English words in Mizo is because they represented objects that were unknown to the Mizos, in their native language, before the advent of the British and since they had no names for such object, they ended up using the English word. The earliest example of loan words from English would be the names of books from the Bible. The missionaries translated the English Bible to Mizo where the names of the books such as Genesis, Exodus, Leviticus, Numbers, Deuteronomy, Chronicles etc. remain the same, while some books such as Mathaia (Matthew), Marka (Mark), Luka (Luke), Johana (John) etc. were written in a nativized or ‘Mizo-ized’ form. apple, grape, tomato, pear, carrot, bean. pen, pencil, slipper, bucket, fan, blanket, cushion. sitting room, college, restaurant, hotel, office, police station. lecturer, police, pastor, driver, peon, chairman, secretary. jeans, t-shirt, jacket, coat, pull-over, pyjama. Apart from the above examples, we also find many loan words for the names of sports, flowers and food items. In these examples, an English and a Mizo word are put together to construct a hybrid compound. With regard to science and technology, the Mizos use English words to express those terms and concepts where there are no equivalent words in Mizo. Such examples are plug, refrigerator, television, computer, tape, video, car, truck etc. However, these kinds of words are also used in most Indian languages. The use of these terms as part of their own language only shows that the Mizos are greatly influenced by the global power of English and English speaking countries in the process of their development. The second language, English, is more commonly used though there are equivalent words for them in the native language and this is known as ‘Nonce Borrowing’. According to Poplack and D.Sancroff, ‘Nonce Borrowing’ is clearly a route for the later adoption or integration of these lexical items as loan words in the minority language. This prediction of Poplack and D.Sancroff seems to be very true with Mizo, especially among the younger generation who prefer to use an English word instead of its Mizo equivalent. Examples are: chair instead of thutthleng; bathroom instead of bualin; plate for thleng; paper for lehkha; bag for ipte etc. The English word is therefore being used as though it is a Mizo word and there has been a continuous debate over the continuous use of English words for the native language. English has gained a dominant influential role in Mizo mainly due to the wide and non-resistance acceptance on the part of the natives. The Mizos have borrowed many words from English for their own convenience but this has affected the growth and development of the native language. Language is an intrinsic expression of culture. It is a means by which culture and its tradition and shared values may be conveyed and preserved. It is fundamental to cultural identity and for this reason it is important that people keep their own language alive. Since the Mizos have borrowed a large number of words, it is now difficult to communicate even for an hour without using at least one English word. What makes it more alarming is that we do not seem to realize the critical stage in which we have put our language. As language dies, culture also dies and even if we are a part of the global culture, we should remember that the use of community language is important both for individual and for group identity and for communication across generations. It would be best to try and coin a new word in the native language to replace the borrowed words and return them to the rightful owner once its equivalent words are coined in the native language. 1) G.A. Grierson, Linguistic Survey of India, Vol-III, part III, (reprinted), Motilal Banarsidan, Delhi 1967. 3) Linguistic Outcomes of Contact. Sian Lalchhandami completed her Masters in English at Hyderabad University and is now working at the District Institute of Education and Training (DIET), Mizoram. Baruk is of Mizo blood on the maternal side, his mother being the much-admired Malsawmi Jacob. Born in Mizoram and brought up in Shillong, he now lives in Auckland, New Zealand, all of which should immediately explain where this poem comes from. staggering, delirious, out of their minds. they take to the streets. drunk on the power of the spirit. we don't all fully understand. ¹ A little village close to the Myanmar border and unlikely venue of a spiritual revival. Note: To be read in continuation of an earlier writing. I believe it necessary to actually bump up the disclaimer here. He blog chhung a thuziak reng reng hi zirna lam thil atan chhuahchhawn ka phal e. Chanchinbu leh internet lam a chhuahchhawn erawh chu a hranpa a blog nei tu hrilhhriat leh remtihna lo chuan phal a ni lo. In an early poem (2008), The Idiot Goes to Hell, Mona Zote works a few delicate surprises that complicate the Christian meaning of the Cross on the eve of a suicidal death. This death meticulously carried out on the Holy Cross does not make the dead a Christ figure. More disconcertingly, the mother praises her ‘idiotic’ son for the perfect execution of a deed once at least in his entire life of nonsense. The orthodox belief that one committing suicide “goes to Hell” does not however affect his loving mother either; on the contrary, this short lyric reveals a Christian mother’s poised observation in face of her son’s death. She does not claim to be a Mary figure either. A Christian selecting to hang himself from the Cross in the burial ground is a radical critique in itself. Our traditional Christian perspectives seem meaningless to both in a manner almost suggestive of Samuel Beckett’s absurd tramps. Several questions crop up: Is she senile, or too tired of an idiot? How could a mother go cool over her son’s death? Why does the idiot choose the graveyard with “a precise cross” to hang himself? How to know the idiot’s inner psyche to die on the cross? No answers are likely. But the poem subtly enforces this that any deed perfectly done is its own sufficient meaning, which requires no religion to certify or condemn. Therefore, a life of action is superior to that of inaction. Mona’s radical thinking quite early in her creative career does speak here. Her Home Going (2008) is relatively a less accessible but excellent love poem, marked by an intertwining of intellectual and sensual images; sensually provocative phrases are scattered around such as “folding the accordion of my selves”, “menstrual sun”, “lightning sew the purses of the sky”, “taking tea with a minotaur.” The images of Knossos (Crete/ Greek) and Ma’rib (Yemen/Sheba), pointing at prehistoric times, would suggest love issuing out of the unknown sources and making a landfall just at the shore of life. It seems to be a diagnosis of love experience involving uncommon figures of a menstrual sun (uncontrollable youth) and a blindfolded (under control) girl. In this tightly woven artifact of modern images, the image of the male lover who resembles a menstrual sun of the yesteryears is suggestively a minotaur and who enjoys breaking the “harp” across his knees, ie. breaking the female partner down in love. The poem suggests that love’s intimations may build up its vertigo, but soon it is realized that the human body is a “paper boat,” too frail to contain the whirl of love. Thus, the love’s accordion (singing of intimations) folds up at the “landfall” (touching the reality –shore of life) rather than singing its full blast like a storm. The poem unfolds that in the process of love act, the person is ‘seen’, known, and not from his ‘reputed wisdom’ as of the Minotaur’s austere world (part-animal and part- human). With this knowledge gained, it is time for the woman to go home; ‘home going’ is a growing maturity of life with insightful, perhaps calming, knowledge. This poem, like a locked box of sweet surprises, opens up a feminist face of the woman persona being cynically, yet silently, watchful of the masculinist control of the other gender even in matters of love as it in knowledge. The landfall is indeed of the woman’s fall into reality as well as man’s fall off the age-old self-estimation. These two poems, to my mind, lack the adequately signifying markers by which they would claim the status of ‘Mizo poetry’ in English. The first poem may be claimed by any Christian the world over to have expressed his ‘idiotic’ passion, if at all; whereas the second one will be readily claimed by the Greek to be his/her. Reflexively, if the poems are situated in the Mizo contexts, one will be surprised at the suppressed meanings getting suddenly resonant and accord appreciation. Well, one cannot deny the universal appeal of the either poem in the process of articulating love exceptionally or dying exceptionally. Mona’s poetry always expresses a passionate pursuit, which is substantiated by her other poems. To me, a poem is a cultural artifact, without ever denying its potential of universality. In love poetry, usually poets work out images that are culture-free, as Mona’s poem here appears. But to be called a Mizo poem, Home Going will have to evolve through images and symbols that are ethnically or experientially Mizo. As I have come across a slowly burgeoning tuft of poetry in English written by Mizo men and women, I find no self-convinced confidence in using Mizo symbols or places. This scenario points up two things: one, the Mizo poet in English does not want to identify with the land or social order where he/she belongs for special reasons; secondly, the poet may target an intelligent readership outside her immediate environment. But in both cases, the fact lies that the immediate surrounding has impacted on the creative spirit, though to an indirection. Therefore, our tie with our ethnic roots does not die, though it may seem dry on the surface. Thus, I feel, the poet’s exercise may better unfold the self- alienation, self-exile or the social neglect by means of culture’s images. This is nevertheless to acknowledge that other poems of Mona Zote are characteristically and subversively Mizo poems. Prof. S.D. Baral is presently the Head of the Department of English, Mizoram University. We appreciate his interest and scholarly study and assessment of the writings on this blog, especially in the two mentioned in the article. Someday in the distant future. Is just the memory of a Cole Park afternoon. And the sea parted for the chosen to cross. Who knew settling there he would meet Mother? For who knows what awaits once we have crossed? Somte (Lalmalsawmi) Ralte is presently pursuing her Ph.D in English literature at Mizoram University. I see a definite growth and maturity in her poetry since the last couple of poems that she sent me in 2010. Good going, Somte, keep it up! “Dinpui, Dinpui, min lo nghak rawh! Min kalsan suh! Wait for me. Don’t leave me!” Sanga mumbles. A startled Zorami puts down the book she has been reading and gazes at her sleeping husband. After a long silence he tells her. Dinpuii is the girl he loved. He can’t forget her, though he has tried. Zorami feels like she’s hurling down into a black abyss. And then she feels nothing. No anger, no grief, no emotion at all. Only a heavy deadness. “No wonder there’s no spark of romance in our life together. He’s only a burned out stub, poor guy!” she thinks. Dinpuii and Sanga were in the same class in college. They both took up Honours in Political Science in first year BA. Dinpuii was the best student in the class and the favourite of all the teachers. She was passionate about the subject, passionate about studies. She was brilliant and talented, the college champion in debate. And she was beautiful. Unlike most pretty girls, she was quite unconscious of her good looks. Tall, slender and straight, with big expressive eyes, hair tied in a simple pony tail, she wore a blue and white checked shirt with a plain dark-blue puan when Sanga saw her for the first time. From his seat in a corner, he noticed her entering the classroom through the door at the front. Her large, lively eyes quickly glanced round the room and settled on his face for a moment. She sat down on the second row with two other girls. After the class started, he heard her pleasant contralto voice answering the teacher’s questions. By the end of the period, he was utterly and desperately in love. They became good friends in a few days. Sanga was surprised at her rather un-girlish interests. Her favourite topics for discussions were matters relating to the socio-economic and political condition of Mizoram. She liked hockey and sometimes joined the boys at the games, though girls normally did not touch the hockey-stick those days. She played the guitar fairly well; better than he did at any rate. And she immensely enjoyed debating. Sanga disagreed with her on the point of independence. “Independence is like a fruit in heaven. It’s not possible to get it in our present situation. We became part of India when the country became free from the British, and now India will never agree to let us separate,” he would say. They often argued on the subject. One day after classes, Dinpuii walked back to the rented house she shared with a friend. When she reached the front door and was about to open it, a man’s voice called her name and she looked back. The man, hobbling up with crutches, caught up with her and spoke loudly. “Dinpui, don’t you recognise me? Remember we both gave our names to join MNF on the same evening?” he said. “Awi, it’s Ralkapa!” she exclaimed. As she said this, she saw two men in army uniform, not very far behind. They would have heard the conversation, whether they understood all they said or not. In any case, they would have realized that she and Ralkapa knew each other. She understood what that meant. Ralkapa’s horrid deeds were well known. She had to escape, and fast. There was no time to inform anyone, not even Sanga. The army men did not move forward to arrest her. Perhaps they were planning to do it later. As soon as Ralkapa went away, she fled to the house of a friend. She hid there until this friend located some MNF soldiers who helped her escape to their underground shelter. Her letter, narrating all these, was hand-delivered to Sanga by a stranger some weeks after Dinpuii’s disappearance. Soon, stories of a girl called Lalpuii among the MNF filtered out. She was the only female in what the cadres named Blue Valley Camp. There were no proper medical facilities there, but they said Lalpuii tended wounded Mizo soldiers with loving care. They nicknamed her Florence Nightingale. The Indian Army discovered Blue Valley Camp and raided it. Some were killed, some were captured alive. Others disappeared. Those who escaped regrouped later, but Lalpuii was not among them. About a month after the raid, a badly mutilated corpse of a woman was found near an army encampment in the same area. Though no one actually identified the body, it was generally believed to be that of Dinpuii. Sanga could not eat or sleep properly for weeks and months. And then exhaustion took over, and he gradually resumed life. But he lived with a gaping hole in his heart. “Why did you marry me then?” Zorami asked at length, still numb with pain. After Dinpuii’s disappearance, and especially after the corpse was found, Sanga had lost all interest in life. He felt he was only a living body without a soul. He wished he could give up that life too. But he had his mother to consider. He mechanically went about his routine. He attended classes, wrote the exams when the time came, and finally graduated and got a job in the State Bank. Once he settled at his post, his family wanted him to get married. His uncle kept suggesting some girl or other, but Sanga remained uninterested. Finally, when he was nearing thirty three, his uncle talked about Zorami. Her family had come back to Aizawl after she finished her post-graduation in English, and she had started working in a college. He agreed to consider her. When he got to know her, he thought he loved her and that’s why he had proposed. But he could not bring himself to forget his first love as he had hoped. Zorami left the bed and went off to the sitting room. She knew attempting to sleep would be futile. Sanga stayed on in bed, closed his eyes and tried to sleep again. But his heart was burning. Dinpuii had appeared in his dream, smiled at him and walked away. He ran after her but he couldn’t catch up, she was too fast. That was why he had cried out. “Dinpui, how can I forget you? You are the most beautiful person I’ve seen, beautiful in mind and heart,” he whispered to his pillow. Zorami sat on the sofa, drawing up her feet, head on her knees. “One can’t compete with the dead,” she thought. Upon a woman won or woman lost? “Woman lost is much more precious,” she told herself. “Two broken lives brought together. Can they ever become whole?” she wondered. Broken? She was lacerated, ripped apart. A fiend in human body did it in revolting lust. When the thirteen year old did not come back from the tuikhur where she had gone to fetch water, her worried mother took a couple of neighbours with her and went in search of her daughter. They found her unconscious, her dress torn and soaked with urine and blood, in the bushes. In the hospital, after she regained consciousness, a nurse stitched her up. Without anaesthesia. How she screamed! The needle pierced her again and again. Stinging pain upon pain. And the dirt, the dirt! How she wanted to wash herself clean, to be immersed in a flowing river! But there was no such river within reach. All she could get was a few mugs of water for a bath. She loathed her defiled body like a rotten carcass. In sleep, she dreamt of a brook running down a hill. She ran to it, hoping for a dip in its clear, clean water. But when she reached there, she saw only muddy, filthy water. Within a day, the buoyant, rather boisterous young girl had turned into a weepy, terrified wreck. When she was sent back to school after being discharged from the hospital, she went without fuss, without spirit. She walked with head bent, looking at the ground. She avoided everyone and kept to herself, hardly talking even to Kimi. She struggled to keep up with the lessons though earlier she used to be considered the best student in the class. As soon as school was over, she walked straight back home and stayed inside for the rest of the day. As dusk fell, she was seized with terror and broke out in cold sweat. She sat by the fireplace, her head buried in her knees, and trembled violently. Her mother tried to soothe her, but only succeeded in making her cry uncontrollably. As time passed, the wounds on her body healed, leaving scars. But her wounded psyche festered. What an incredible privilege to blog an extract from a soon to be released book that's also due to be a historical first, being the first ever full-fledged novel written in English by a Mizo writer. Malsawmi Jacob, established poet and writer, takes on the most traumatic period in Mizo history, the Insurgency years of the sixties, to tell the story of a young Mizo girl, Zorami. Coming of age, after an uneventful, idyllic childhood, at the same time that the political unrest and struggle for independence gathers momentum and breaks out to devastating effect, Zorami's life and experiences reflect those of her beloved people, land and culture. Written in Mrs. Malsawmi Jacob's distinctive restrained, understated, always beautifully lucid style that breaks into poetry in moments of passion, the novel, titled Zorami after its protagonist, is expected to be released in May 2015. Some mongrel dog ran off with it. of our saints and sages. as the lynchpin of society. in the deep folds of our heart. the pen mark or ink spot anymore. like a tiny boat on an open sea. *According to the Mizo legend, the legendary Thlanrawkpa gifted the Mizo with a leather parchment saying, “Treasure this with great care for within it is nourishment and riches and all the knowledge to quench your thirst.” The Mizo carelessly left his gift in a front porch, from where a hungry dog picked it up and took it away. **Tlawmngaihna = The Mizo highest code of morals, the spirit of self-sacrifice and self-denial. ****Phawngpui = The highest mountain peak in Mizoram, considered to be the abode of the gods. Mafaa Hauhnar is one of contemporary Mizo literature's most well-known names, having published several volumes of poetry, critical essays and creative prose works. His publications are invariably bestsellers, trademarked by quirkily witty turns of phrases and puns, as well as a healthy infusion of humour which often neutralizes the sometimes acerbic social satire. He regularly makes appearances at seminars and writers' meets across the country, and on Mizo television reality shows as celebrity judge. While most of his work is in Mizo, unlike most of his contemporaries he also occasionally writes in English. He is presently editor executive at ZOlife, a well established monthly magazine based in Aizawl. and charged nine long days later¹. and taking the law into their own hands. I dread what summer will bring. ¹ On the night of the 31st December 2014, a young man was reported missing with his two-wheeler. After wide searches by the YMA, his dead body was found eight days later. The next evening, his vehicle was found and its supposed owner admitted to the theft and killing. ² Around 7.30 pm of the 9th January 2015, a family of six were confronted in their own home by a knife-wielding man. Five died instantly in the horrific assault that rocked Mizoram. The assailant was believed to be on meth. Every year, there is this day where the whole world agrees together to hope. Though memory and history proves that most times than not, nothing much changes or happens but the year passes as similar to the year before, yet we hope. Determined or desperate that the new year will bring with it all bounty and riches, we hope. For a brief moment, we deny the numbness of habit and existence to influence us to cynicism and we hope. For this day we leave being an adult and like children believe in magic and miracles and hope. It was the best of times, it was the worse of times...it was very much like today, we hope.